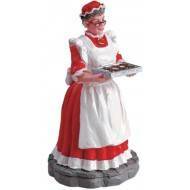 Lemax Chocolate to Go Item 62300 Features Include: Polyresin Figurine Approx. 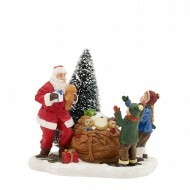 size: ( H x W x D ..
Lemax Don't Forget These Santa Item 72395 Features Include: Polyresin Figurine Approx. 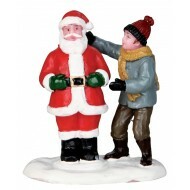 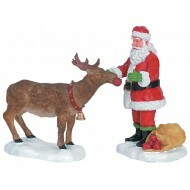 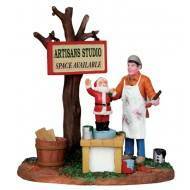 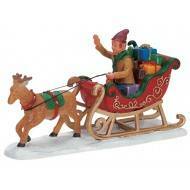 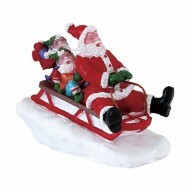 size: ( H..
Lemax Frontyard Santa Item 32127 Features Include: Polyresin Figurine Approx. 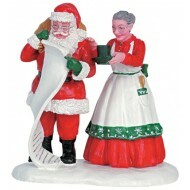 size: ( H x W x D ..
Lemax Mrs Claus Item 52012 Features Include: Polyresin Figurine Approx. 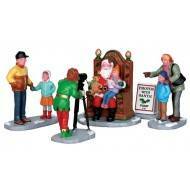 size: ( H x W x D ) 6.8..
Painting Wooden Santas Item 13915 Features Include: Polyresin table accent Approx. 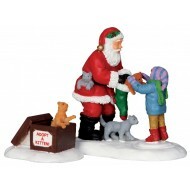 size: ( H x W..
Lemax Photo with Santa Set of 5 Item 22032 Features Include: Polyresin figurines Appro..
Lemax Santa & Kittens, Set of 2 Item 32122 Features Include: Polyresin Figurine Set of 2 ..
Santa delivers presents to the country mailbox. 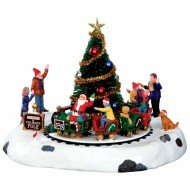 Lighted table accent, requires 2 - 1.5V batteries..
Lemax Santa's Kiddie Train Item 34631 Features Include: Animated table accent Battery-operated ..